There are few better places to install Infinite R™ if your project is in a warm or tropical climate than at the exterior walls. 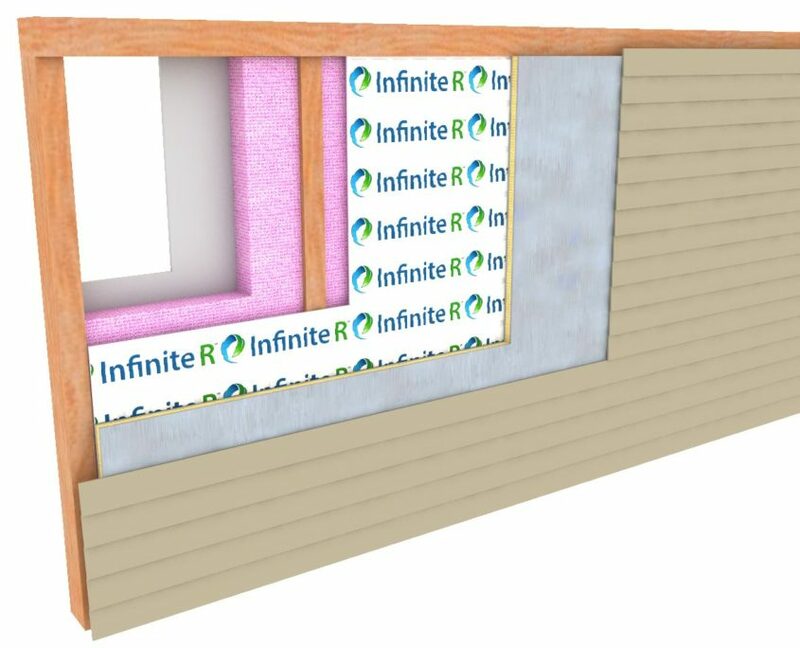 When placed at the exterior side of a wall assembly, Infinite R acts as like a thermal shield that is constantly helping your building behave as though it lives in a climate that stays constantly within a very narrow temperature range. For example, if a 78F degree material were used in a climate with overnight lows below 78F then Infinite R™ will freeze overnight, and be ready for a full day of energy storage. As the heat rises outside, the product will increase in temperature steadily until it hits 78F. At this point, the phase change process will begin to take place over many hours, keeping the wall assembly at a comfortably 78F continuously. So keeping the room at 72F becomes effortless for the air conditioning system which would otherwise be working overtime to combat exterior walls that are leaching and radiating 100 to 150F temperatures into the building. As the sun goes down, the product releases that heat to the outside where it re-freezes for another day of storage. 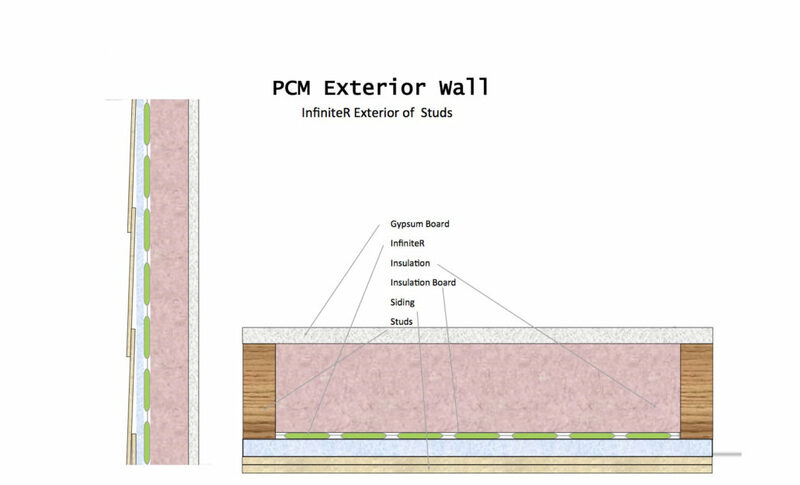 In the winter months, the light layer of insulation at the exterior helps Infinite R to access and absorb heat from inside the building where it is stored before leaving the conditioned envelope. 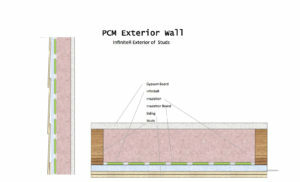 The product melts as excess heat within the building rises, and from external loads such as south, eastern and west walls. During the overnight, the product slowly releases it’s heat where it can be used to benefit the building or help the heating system experience a climate with a much narrower temperature range. Since heating and cooling loads are “all about delta-T”, this exterior wall detail puts complete control of delta-T in the hands of the building owner instead of the weatherman!